Trade in your old chairs for rebates towards the purchase of new Haworth seating. or 905-475-0043 for program details. 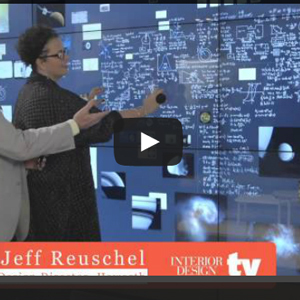 Haworth.com • At NeoCon 2013 Haworth introduced 21 timeless pieces from Cappellini to the Haworth Collection. The Haworth Collection delivers craft and art to the workplace by continually searching the globe for new ideas, uncovering young designers with fresh designs while honoring a heritage of classics that represent over 100 years of design history. 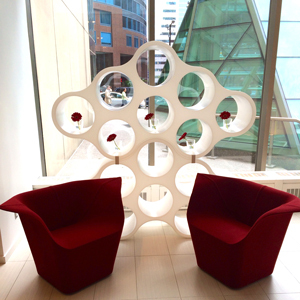 New Haworth Collection pieces are now featured in the Haworth Toronto showroom - call to book your tour now. 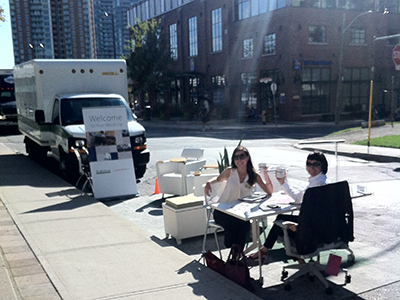 Facebook.com • Brigholme took the streets this Fall for #ParkandPlay, a pop-up-office set on city streets. #ParkandPlay set up in Liberty Village and on Richmond Street, to open conversation about changing workstyles and workplace trends. Public space was utilized to create an open environment for anyone to join and work on a sunny day. Many friends from the A&D industry came out to see what the buzz what about. They learned that when given the right tools and devices people can and will work anywhere - A Haworth Very Task chair and carpet tiles from Interface help too! Pictured above: Lisa Gushue and Susan Quinn, Brigholme Inc.
ISE • Studies show that sitting all day at a fixed height work surface can result in repetitive strain injuries, slowing metabolism and obesity. Simply standing burns 60 more calories per hour than sitting. Brigholme.com • CAMH’s Archway Outpatient Clinic has evolved and continues to improve thanks to ARIDO Committee members who have redesigned a healing environment, with the help of a group of volunteers and generous donations from the interior design and construction industry. 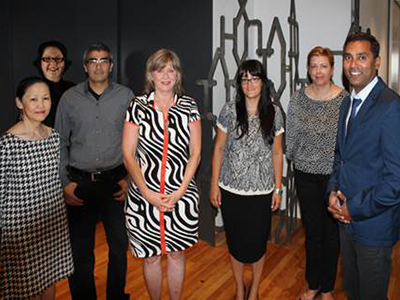 Pictured above: Archway Designers (L-R): Elsie Cheng (ARIDO); Dayna Bradley, a member of the Planning Committee; Naji Mourani (ARIDO); Anna Stranks (ARIDO); ARIDO Registrar Sharon Portelli; Sherry Bilenduke (ARIDO); and Mahesh Baboram, a member of the Planning Committee. Brigholme.com • NeoCon, North America’s largest design exposition and conference for commercial interiors took place this past June. 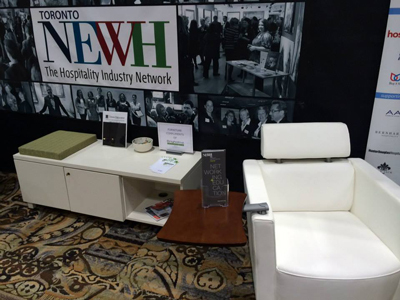 Haworthcollection.com • IIDEX 2013, Canada's national design and architecture expo and conference took place September 26th to 27th at the Direct Energy Centre. Demonstrate your competitive team spirit in an exciting real estate scavenger hunt in the Toronto downtown core. 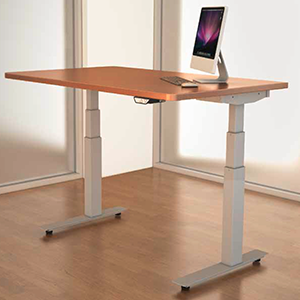 Mobility means companies now view office space utilization differently. Four speakers will share their unique perspectives on trends and strategies.